At the Riigikogu sitting, President of Eesti Pank Ardo Hansson gave an overview of the economy and monetary policy of the euro zone and Estonia’s economic policy. He also spoke about the development of Estonian economy and the activities of the central bank in the last year. 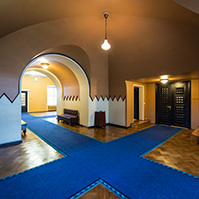 Hansson said that the economic growth of Estonia had amounted to 0.8% last year, and he added that Estonia’s economic growth has been led mainly by domestic demand which is based on the increase of household incomes. “It is important that enterprises dare increase investments, and it is also important that the high unemployment decrease, which in the first place requires steps to reduce structural unemployment,” President of Eesti Pank noted. Hansson also pointed out that the accrual of state budget revenue has remained satisfactory but if the expectations as to the recovery of the global economy will not be fulfilled, expenditure plans may have to be changed. “In the next couple of years, the budget policy attitude will be notably laxer than it has been after overcoming the economic recession,” Hansson stated. 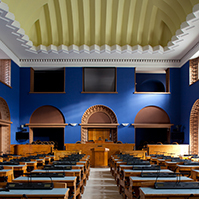 “In autumn when the budget plan for the next year will be drafted, the minimum task will be to ensure improvement of the budget balance in terms of both the nominal and the structural indicator.” He said that one task of Eesti Pank is to keep price rise moderate and to ensure that enterprises and households can rely on money of stable purchasing power in their transactions and calculations. The profit of Eesti Pank was 23.5 million euro last year. 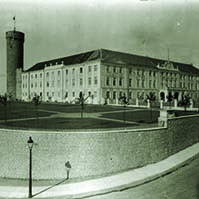 21 members of the Riigikogu asked questions of Hansson. Urmas Reinsalu, Rannar Vassiljev and Kalev Kallo took the floor during the debate. Chairman of the Management Board of the Financial Supervision Authority Kilvar Kessler gave an overview of significant events and trends in the Estonian financial market and financial supervision in 2013. 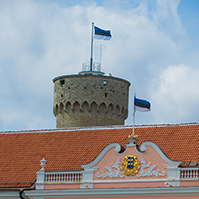 He noted that, in terms of asset volume, the Estonian regulated financial market is dominated by banking groups, and 20 credit institutions operated on the Estonian market in 2013. The loan portfolio of banks grew by 25% last year as compared with 2012, and the deposit volume totalled 13.7 billion euro. “In 2013, a trend could be observed on the banking market where smaller banks looked for new markets and opportunities for growth. Bigger banks remained cautious in taking risks. A pressure to save costs could be observed also in the case of bigger banks,” Kessler added. He said that the central task of financial supervision is to maintain financial stability and to see to the fair and transparent functioning of financial markets as a whole. 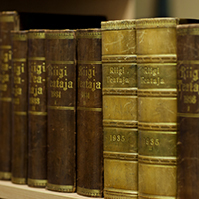 Nine members of the Riigikogu asked questions of Kessler. Sven Sester took the floor during the debate. 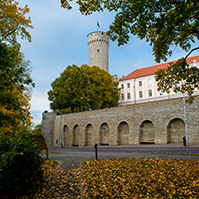 The Riigikogu passed with 48 votes in favour the Resolution of the Riigikogu “Removal of a Member of the Riigikogu and Appointment of a New Member of the Riigikogu to the Supervisory Board of the National Opera” (686 OE), submitted by the Cultural Affairs Committee. The Resolution provides for removal of Marko Mihkelson from the Supervisory Board of the National Opera and the appointment of Maimu Berg as a new member of the Supervisory Board instead of him. Due to the end of the working hours of the sitting, the first reading of the Bill on Amendments to the Roads Act (681 SE) was adjourned. The reading will be resumed at tomorrow’s sitting. The first reading of the Bill on Amendments to the Electricity Market Act (687 SE), the Bill on Amendments to the Maritime Safety Act (646 SE), the Bill on Amendments to the Alcohol, Tobacco, Fuel and Electricity Excise Duty Act and the Fiscal Marking of Liquid Fuel Act (682 SE), the Bill on Amendments to the Taxation Act and the Value Added Tax Act (680 SE), the Bill on Amendments to the Income Tax Act, the Social Tax Act and the Cultural Endowment of Estonia Act (683 SE) and the Local Government Organisation Reform Bill (647 SE), which had been scheduled for Tuesday’s sitting, will also take place at tomorrow’s sitting.